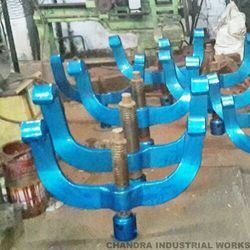 We are leading supplier and manufacturer of Railway Chain Accessories such as Rail Dolly Chain and Grove Handle from Howrah. With the aid of proficient team of professionals, we are manufacturing this range as par the industry defined quality parameters. We are providing this range in various designs and sizes, which is widely demanded in the market. 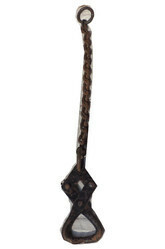 Being a client-centric organization, we are engaged in offering a wide range of Grove Handle. We manufacture this range using optimum-grade raw-material procured from the famed vendors of the market. To meet the variegated requirements of our customers', this range is offered in various design and custom-build models. With the aid of our experienced team of professionals, we have been able to come up with a wide gamut of Jim Crow used for Railway track Fittings. With the aid of proficient team of professionals, we are manufacturing this range as par the industry defined quality parameters. To ensure that this range is qualitative and flawless, we are making use of optimum-grade raw-material and cutting-edge technologies. Being a customer focused organization, we are engaged in offering a wide range of Rail Dolly Chain to our valued customers'. Extensively used in rail and concrete sleeper, we are manufacturing this range using optimum-grade raw-material procured from the authorized vendors of the market. We are providing this range in various designs and sizes, which is widely demanded in the market. 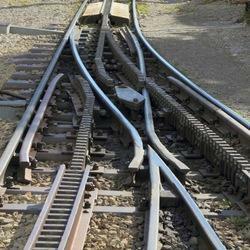 We are a reputed firm involved in manufacturing and supplying Point and Crossing Railway. 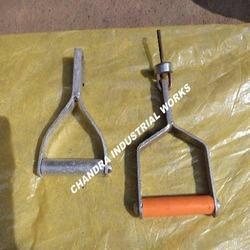 Equipped with ultramodern machines, we are customizing these products as per the exact needs of the clients. These are designed with utmost precision by the professionals of our firm using advanced technologies. To meet the variegated requirements of the clients, we make these product available to the clients in different sizes and specifications. 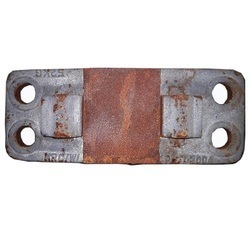 CI Bearing Plate for Railway Pit Line Track Fittings. Material as per Railway Standard Drawing Basis.